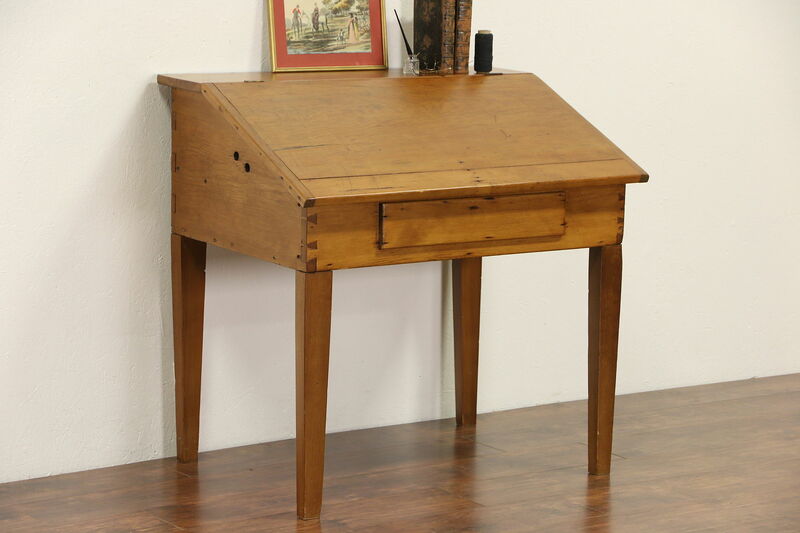 Made for a rural schoolmaster in Missouri in the 1860's, a country pine slant top desk has hand cut corner dovetail joints. The restored finish is in excellent condition, preserving mars and shrinkage separations from age for a little antique character. There are holes in the sides for rope handles. Square cut nails are visible on this American made primitive furniture. There are various restorations over the years, see photos. Size is 39" wide, 29" deep and 38" tall.